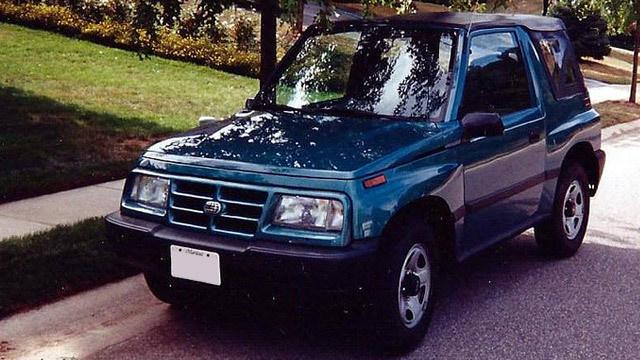 General Motors only made Geos for eight years, from 1989 to 1997. But it’s a testament to their quality that there are still quite a few on the Chesterfield and Macomb Township roads today. They are aging, though and require diligent maintenance and expert auto repair to keep them going. The ASE-certified Tri-Action Auto mechanics have decades of experience working on Geos and other brands, performing expert auto repair and maintenance. While your Geo is being repaired, we invite you to relax in our inviting waiting area, where you can enjoy complimentary refreshments and hook up to our fast WiFi connection to stay in touch. There are restaurants and a shopping area nearby as well. If our auto mechanics need to keep your Geo for a longer period, you have the option of accepting a ride in our shuttle to your home or workplace in the Chesterfield and Macomb Township areas or renting a car from Enterprise. We have arranged a special $25/day rate with Enterprise. “I've been going to Tri-Action Auto Repair for about 12 years now. I live in Saint Clair Shores and I STILL drive all the way to them any chance I need work done. I always recommend them to anyone I know that lives in the vicinity. Tim and Pete are great guys who are extremely honest and very personable! On top of all of that, they have beat any competitors prices anytime I have checked! I would give them 6 stars if I could!” -- Marc F.
Tri-Action Auto is your best choice for Geo auto repair in the Chesterfield and Macomb Township area. So when your Geo needs expert auto repair, look no further that Tri-Action Auto. To set up a time to have it looked over, schedule an appointment online. Or feel free to stop by. Tri-Action Auto is conveniently located at 50002 Gratiot Avenue, Chesterfield, MI 48051. Our auto mechanics will have your Geo running in top condition in no time.